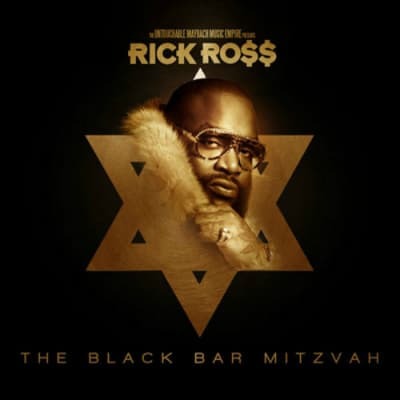 Label: Maybach Music Group, Def Jam, Warner Bros.
Rick Ross may not be Jewish, but he had chutzpah to throw himself draped in fur and framed by the Star of David on the cover of his The Black Bar Mitzvah mixtape. You have to respect the creativity of the concept, and how he brought it all together with the simple yet striking black and gold artwork. In addition, Ross got co-signs from his Hebrew brethren Drake and Peter Rosenberg of Hot 97, who both make appearances on the tape. Mazel Tov, Rozay!